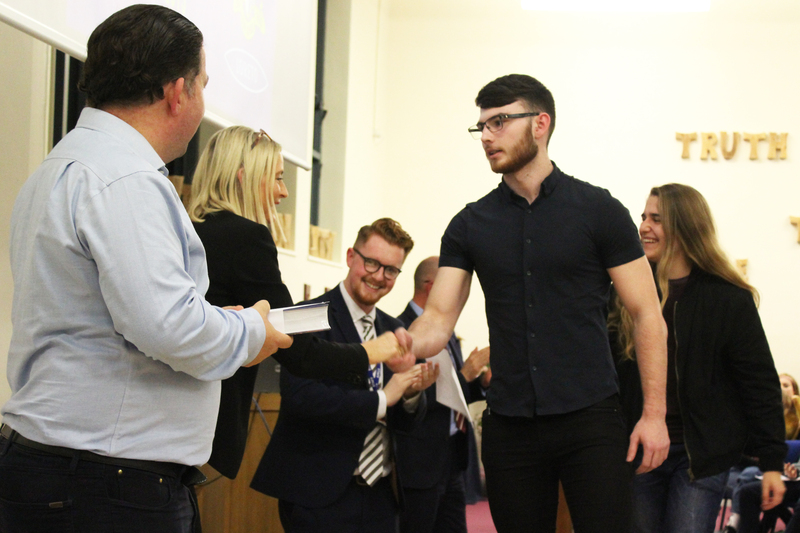 Following their stunning performance in the first full year of the newly reformed GCSEs, last year’s Year 11 cohort returned to Loreto High to reflect and celebrate a year of excellence for the school. 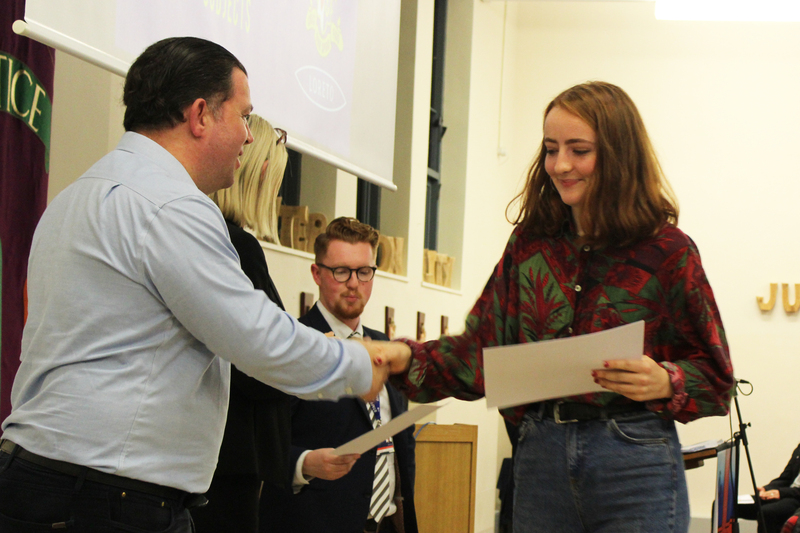 With record numbers of students achieving top grades, excellent progress made across the year group and a staggering amount of new Grade 9s being awarded, it was always going to be an evening of tired hands from clapping. 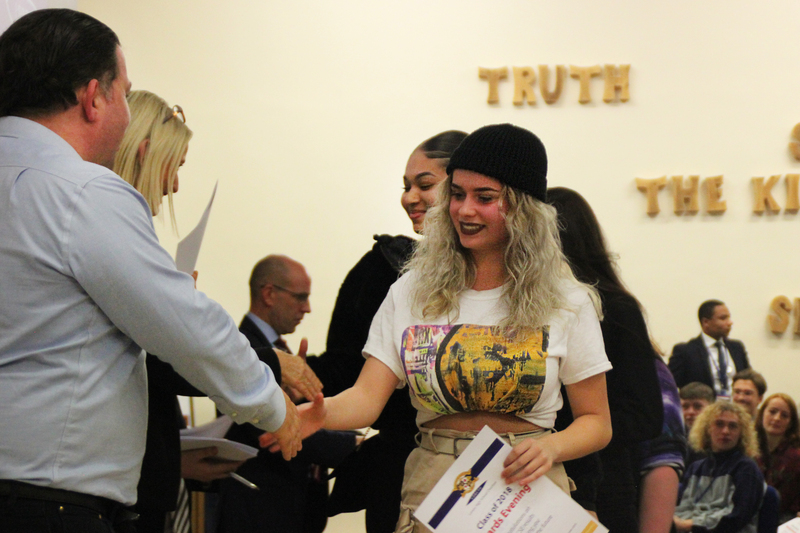 With over 80 students returning to congratulate their peers, the chapel was packed with staff, students and supportive parents, all keen to mark the achievements of the Class of 2018. Headteacher Mrs Hughes opened the evening before introducing guest speaker Brian Deegan, a former student of St. Thomas Aquinas, who noted the change in the school since his era. 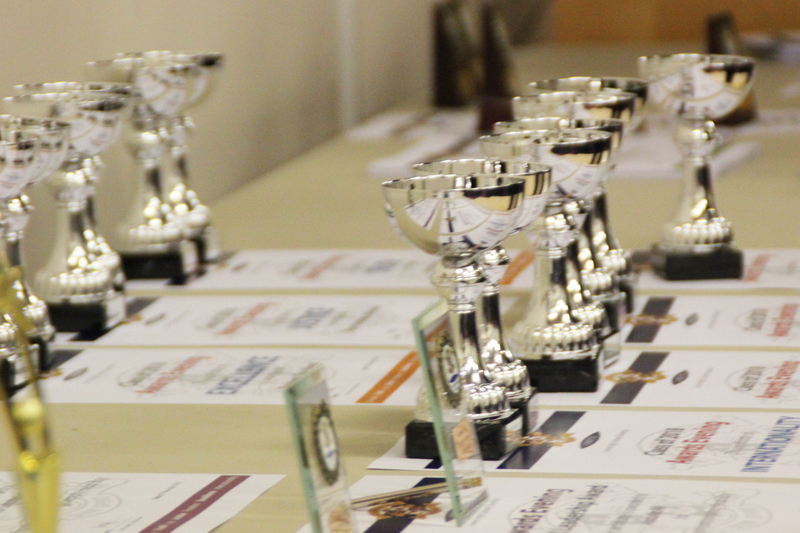 It was then on to Mr Chillingworth to begin presenting the evening’s academic awards, with awards for excellent academic progress, Grade 9s and awards for all academic subjects. 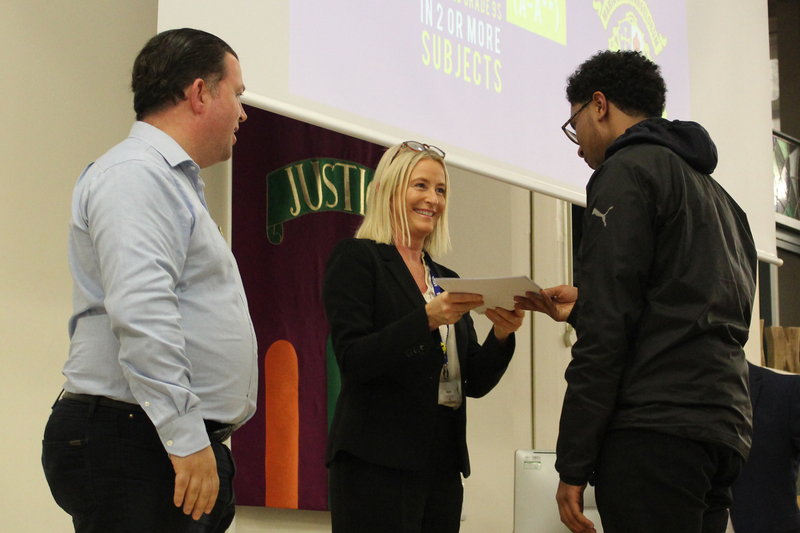 Head of Year 11 Mr Cere then presented the Loreto Values awards, recognising students who contributed to the non-academic side of school life in their final year, embodying the core values of Truth, Sincerity, Justice, Joy, Excellence, Internationality and Freedom that underpin life at Loreto. 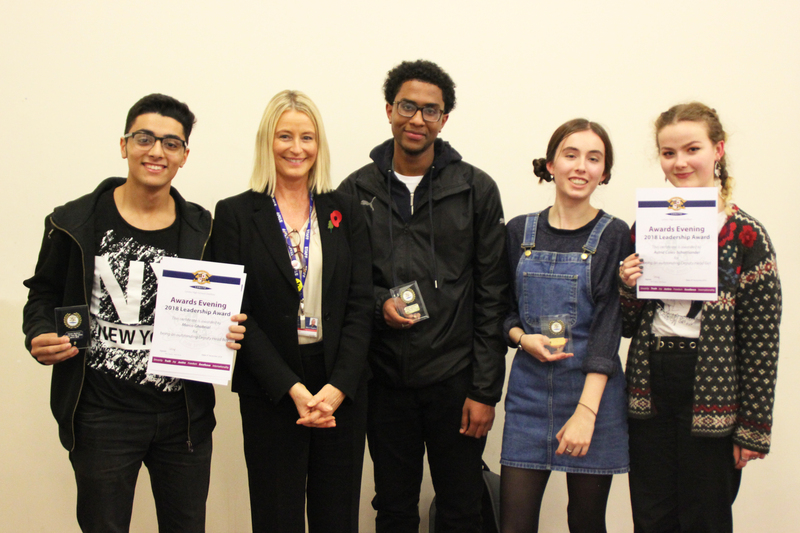 Special trophies were presented to our Head Boy Abdalla Ali and Head Girl Rosa Tite-Ahern, along with their Deputies Katherine Coles Schott-Lander and Marco Ghobrial. 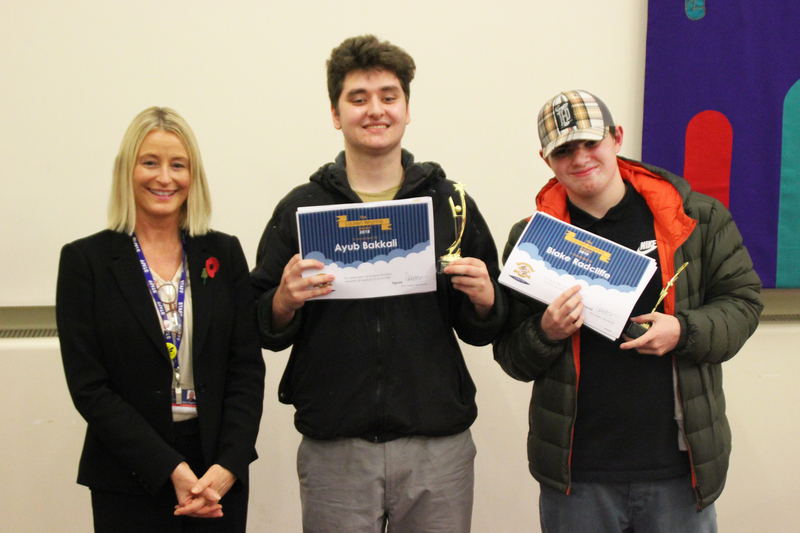 This was followed by The Lauren Wrynne Award, this year going to Blake Radcliffe and Ayub Bakkali. 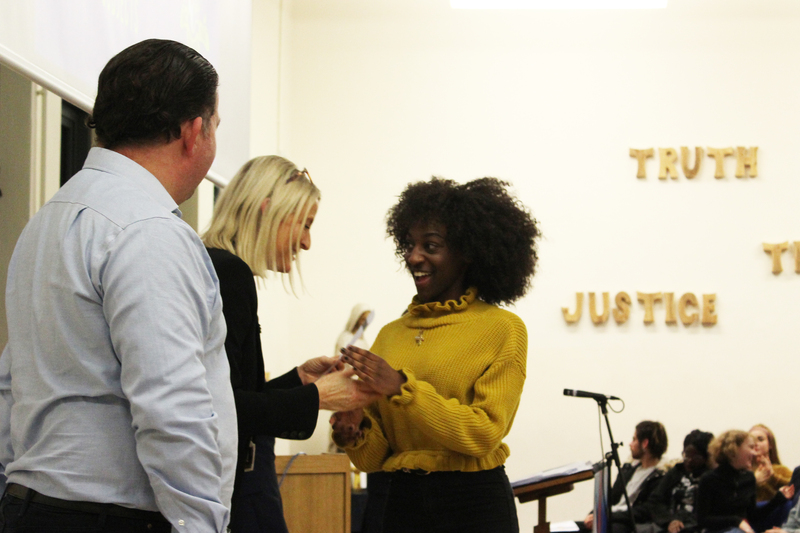 Following the awards, Pastoral Leader Elva Joseph gave a stunning speech on character and spirituality, a powerful reflection on the year group’s time spent at Loreto. 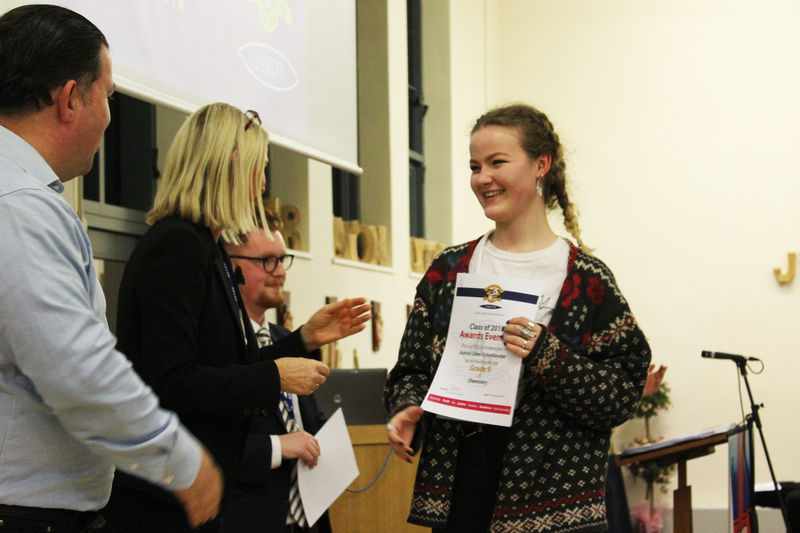 Head Girl Rosa Tite-Ahern gave a student perspective, marking not only the academic successes of this year group, but the deep bonds of support and friendship that they have forged since their time in Year 7. 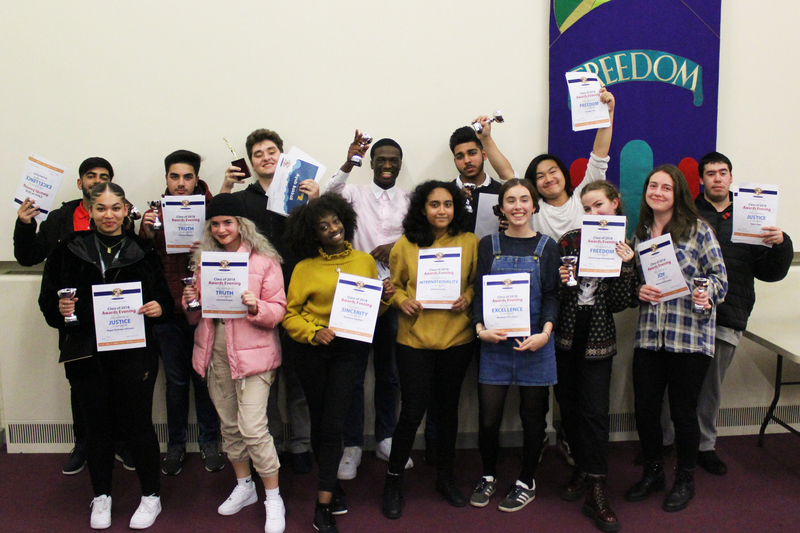 An incredibly successful and joyful evening, it was a pleasure to see so many of our young people returning to us during the next step in their lives, and reassuring to see that they are keeping the Loreto values alive as they go out into the wider community.